Running an office is not always easy, especially if you need to keep an eye on costs and make sure that you keep within your budget. That is why it is so important to know how to accurately assess your costs. If you work with a reliable brand like Xerox copiers or printers you’ll find it easy to manage your costs as you will be able to reduce your unnecessary expenses and benefit from cost effective solutions. Once you’ve chosen the Xerox printer you want to work with, you can benefit from various technologies that can help you keep an eye on your productivity and costs. These products work in any environment you might have, including the cloud; this is convenient, affordable and very versatile. There are also different tools that you can make use of that can manage your data and your operating costs. Asset DB from Xerox supports data uploads and live data exchanges, which will simplify your printing processes and reduce expenses. You can ensure that data is accurate, as well as digitally save documents without having to physically print them. But savings start with your current configuration. You need to know where you are at the moment and you should understand your total cost of ownership. 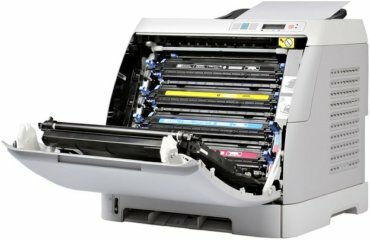 Managing your printing costs is essential if you want to make the most out of your budget. 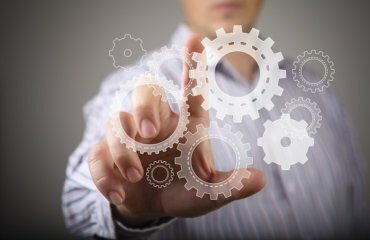 You need to know what you can spend and this means keeping an eye on your productivity. Reduce unnecessary printing costs by sending documents directly to an email address, and even save documents to the cloud. This means less consumables used, and thus less expenses for your business. You can work with an authorised Xerox dealer to assess your current printing costs and suggest an alternative solution that will not only save money but also streamline your work processes. With Xerox copiers and printers you can reduce your operating expenses while benefitting from superior printing products that will provide you with the utmost in quality and convenience. 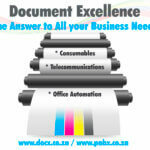 Document Excellence specialises in supplying Xerox copiers for clients throughout Johannesburg. Contact us today to find out how we can supply you with all the Xerox printing solutions that you’ll need for your business.